Data on seawater temperature in Al-Khobar, Saudi Arabia collected from open sources, uses satellite map of temperatures provided by the NOAA. To improve the accuracy of data used by local providers of weather in each region. We can not take into account sea currents, sudden changes in weather conditions and storms. For the accuracy of this information site is not responsible. Today's sea temperature in Al-Khobar, Saudi Arabia is significantly higher than the average in the past. The current trend is to increase the sea temperature. 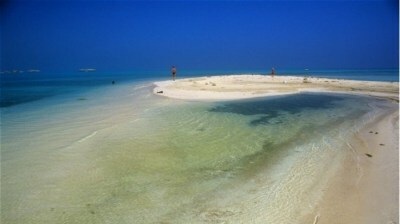 Within the next week the temperature of sea water in Al-Khobar will rise by 24 degrees Fahrenheit (14 degrees Celsius). The average sea temperature in Saudi Arabia is 77oF (24.8 oC). To create a forecast, we use our Web site developed a mathematical model, that takes into account historical data on sea temperature in Al-Khobar, as well as the dynamics of change in sea surface temperature over the last days and weeks, not only in Al-Khobar, but as well in Saudi Arabia and nearby regions and countries. Also we use the general weather forecast, the wind strength and direction, air temperature. The probability of execution of the forecast is 80%. This section provides links to historical data on changes in sea temperature in Al-Khobar in the context of each month. You can use a historical data for the past years presented in our website to make you own forecast. The average sea surface temperature in Al-Khobar, Saudi Arabia in recent years is 75oF (24.1oC). The highest sea temperature in Saudi Arabia today recorded in Jzn and is 85oF (29.6oC). The lowest sea temperature in Saudi Arabia today recorded in Al Khafji and is 73oF (22.6oC). The highest sea surface temperature around the world now is in Narkondam Island, India. Its value is 92oF (33.1oC).